Is Housework a Pain in the Neck? 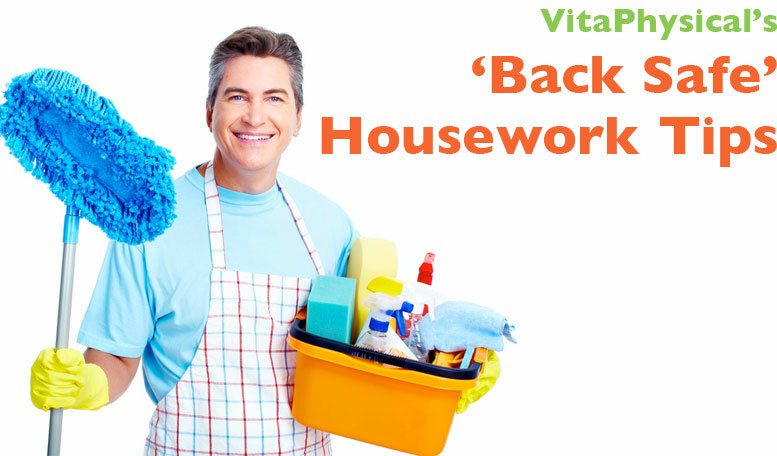 At VitaPhysical our Jason our Osteopath and our Massage Therapist see a lot of housework related injuries, as well as situations where simple household tasks have become problematic for people who suffer from persistent back or neck pain. Follow these general rules and help minimise the risk of injury and keep your spine healthy whilst keeping your home clean and tidy. Avoid bending from the back or twisting while lifting objects. Instead, hold the object close to your body with a good base of support and your legs apart. Then, bend from the knees, lift and turn your entire body from the feet to move objects and avoid putting stress on your back. Whilst vacuuming, use a “fencer’s stance”. Put all your weight on one foot, then step forward and back with the other foot as you push the vacuum forward and back. Use the back foot as a pivot when you turn. Try standing on one leg when standing while doing the dishes or brushing your teeth. This will help build strength in the core muscles of your lower back and abdomen. Use the sink to stabilise yourself if needed and alternate your legs every 30 seconds. When standing for long periods of time, such as cooking or cleaning, widen your stance or alternate your position to avoid repeated stress on the same muscles. When you wash dishes, open the cabinet under the sink, bend one knee and put your foot on the shelf under the sink. Lean against the counter so some of your weight is supported in front. Reach from as short a distance as possible when picking up objects. Keep the weight as close to your body as possible. For example, rather than reaching over the back seat to lift an infant, get out of the car, sit next to the child in the back seat, bring the infant close to you and then get out of the car. 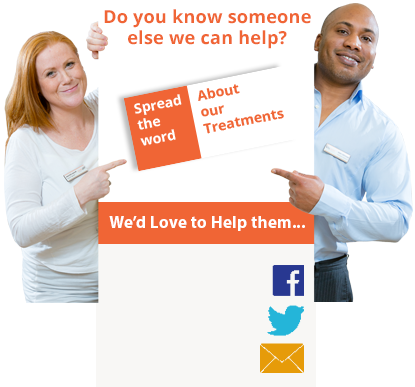 We hope you have found this information useful. Remember pain is a warning signal that you are doing damage to your body so if you need any further advice on how to get rid of pain or how to keep your spine healthy email us or call us on 0191 565 8886.